Originally performed by Ethel Merman. 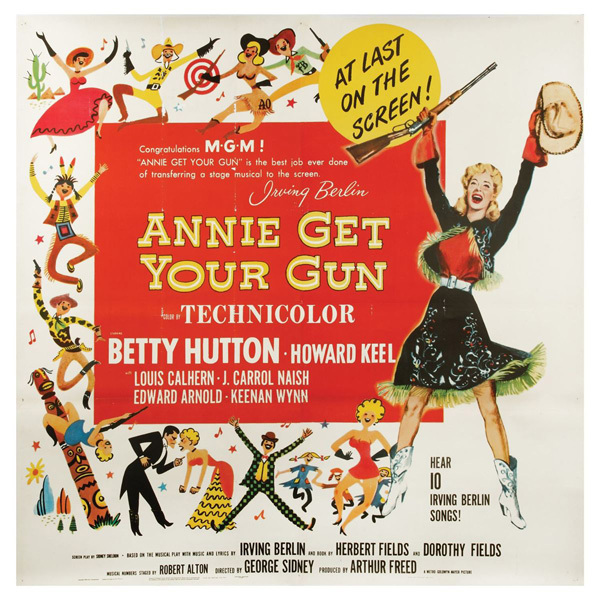 Other singers to have recorded the song include Betty Hutton (in the 1950 movie version of Annie Get Your Gun), Bernadette Peters, Doris Day, Judy Garland, Dean Martin and June Christy with the Stan Kenton Orchestra. The Cheers episode, "Unplanned Parenthood" first aired on October 24, 1991, begins with the character of Carla Tortelli opening the bar and starting the jukebox, playing "I Got the Sun in the Mornin'" to which she uncharacteristically sings and dances. 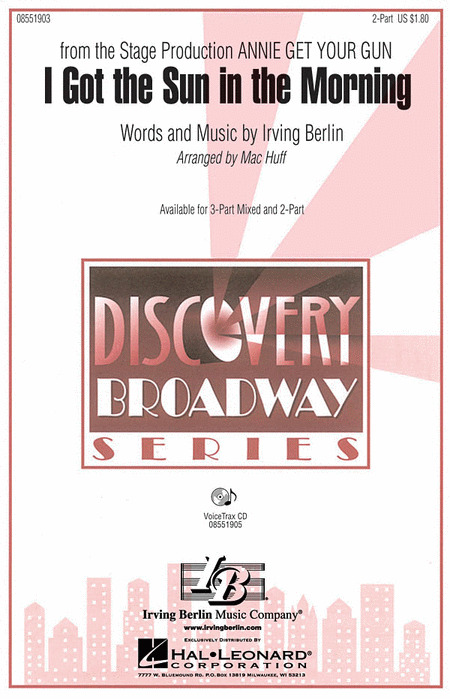 Twelve songs from this Irving Berlin favorite, which won the 1999 Tonyae Award for Best Musical Revival. Includes: Anything You Can Do - Doin' What Comes Natur'lly - The Girl That I Marry - I Got Lost in His Arms - I Got the Sun in the Morning - I'll Share It All with You - Moonshine Lullaby - My Defenses Are Down - An Old Fashioned Wedding - There's No Business Like Show Business - They Say It's Wonderful - You Can't Get a Man with a Gun. When Nancy LaMott died, at the age of 43, in 1995, she left behind five magnificent CDs filled with classic songs, beautifully arranged and played by her music director, Christopher Marlowe. She also left behind numerous other recordings of her signature songs, which through the years have been, and will continue to be, released as posthumous CDs. Over the years, I, as her producer, have received many requests for those arrangements from singers and fans all over the world. Now at last, thanks to Hal Leonard, many of Nancy's most famous arrangements are available in one book, exactly as Christopher Marlowe played them. This massive collection features 50 songs from 41 shows and films appropriate for teen singers. Includes: Astonishing from Little Women - For the First Time in Forever from Frozen - Home from Beauty and the Beast - How Far I'll Go from Moana - Live Out Loud from A Little Princess - My New Philosophy from You're a Good Man, Charlie Brown - Part of Your World from The Little Mermaid - Pulled from The Addams Family - Shy from Once Upon a Mattress - Watch What Happens from Newsies The Musical - and many more. Over 300 pages of music! 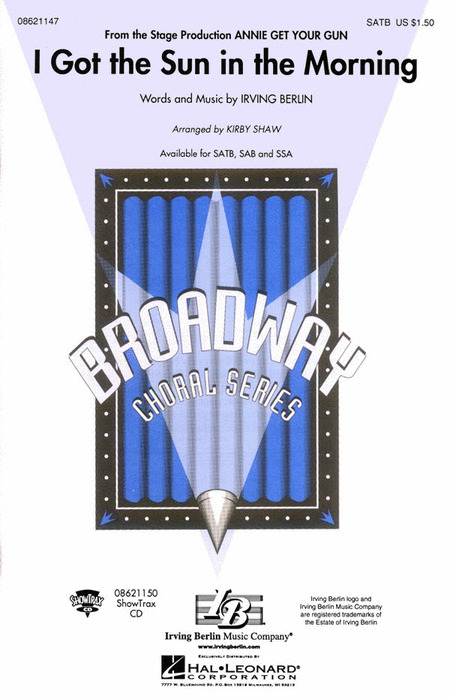 This Irving Berlin favorite will showcase your younger choirs at their best in this light swing arrangement.Available separately: 3-Part Mixed, 2-Part and VoiceTrax CD. Performance Time: Approx. 2:25. Discovery Level 2.